In response to the new GP Contracts the workforce has changed over a number of years, we have moved slowly from a solely GP clinical workforce to a mixture of GP’s and Urgent Care Practitioners . 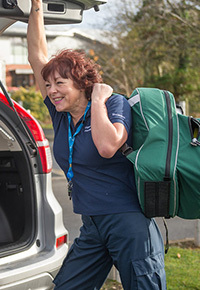 As we develop the Urgent Care Practitioner role further which consists of Nurses, Paramedics and Physician Associates we are seeking to diversify working either independently or in partnership on a wide range of health related services. We believe there is also future scope for Shropdoc to develop as a service provider or facilitator and we are actively looking at the proposed changes to Primary Care within the various White Papers. As a GP owned and led organisation we enjoy the strong support of local GPs which will be a significant advantage in the next few years.